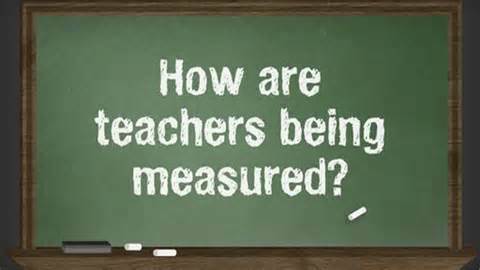 As a more than casual observer of the teacher evaluation and teacher professional growth scene over the last thirty years, I feel a deep sense of discouragement about this aspect of our profession. The current national situation in teacher evaluation seems to indicate that we are likely to repeat past mistakes. Why do we keep trying to quantify, rank, and rate in a profession that we regard as both a science and an art, when it’s been shown that that doesn’t bring out the best in teachers? Coming out of public education, in a state that required that a rating be given to each teacher, I realized that this was not an effective way to motivate teachers. Concurrently in the automotive world, Edward Deming was successfully arguing that ranking and rating was not an effective tool to motivate people. Others like Max DePree, highly respected CEO at Herman Milller, were demonstrating that incorporating Biblical principles into the business world were producing exceptional results. My frustration with the world of teacher evaluation led me to write a book entitled Evaluating Teachers for Professional Growth: Creating a Culture of Motivation and Learning published by Corwin Press in 2000. In the book I propose that we must pay attention to a set of agreed upon standards combined with a good deal of teacher autonomy – a balance of truth and grace. We must also value and care for those under our supervision in order to bring the best out of them as they work with students. One of the most troubling aspects of the current conversation is that in the public discourse we are largely ignoring the significant research that has been done on adult learning: we can intensify motivation, but we cannot make people change unless they want to. So, how do we increase motivation in the process without simply resorting to bigger and bigger accountability “sticks”? Why aren’t we paying more attention to people such as Dan Pink, who in his book, Drive: The Surprising Truth about What Motivates Us, promotes the ideas of autonomy, meaning, and purpose as the fundamental concepts for human motivation? In recent years, the idea of “value-added” analysis of student achievement as an indicator of teacher effectiveness has waxed and is now waning. The concept seems logical – if we can measure a student’s understanding at the beginning of the year and then again at the end, we should be able to see how much growth/value the teacher has “added” to the student. Simple, right? Not so much. Politicians and states jumped on this methodology as a “magic bullet” and now many are questioning the accuracy of the concept and its usefulness. Even where the concept has been applied in the best possible ways, there is significant push back by researchers as to its veracity. It seems that the teaching process is not so easily quantifiable. Trust is a key element for progress in the evaluation process and in making any relationship between professionals work over the long haul. As a teacher, I must trust that my administrator understands and cares for me and truly has both my best interests and the larger school community at heart before I will listen well to his/her suggestions. As an administrator I must trust my teachers that they will focus on what they need to grow as professionals and will have integrity with any evaluation process. Recognizing that teaching is both an art and a science, I must use my authority as an administrator to carefully and sensitively balance truth and grace if I expect to bring the best out of my teaching staff.